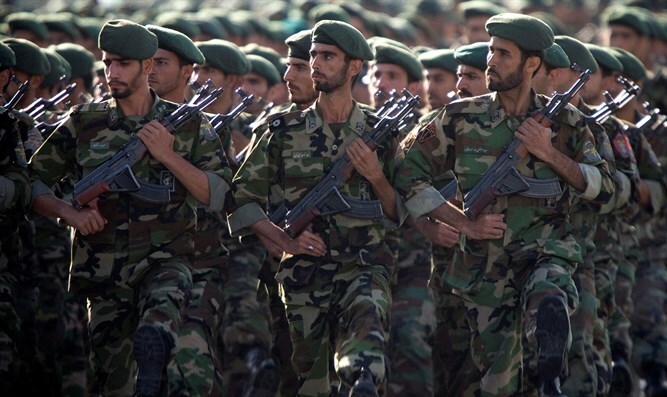 Iran's Revolutionary Guards deny Saudi Arabian accusations that Tehran provided Yemen rebels with ballistic capabilities. Iran's Revolutionary Guards on Tuesday denied Saudi Arabian accusations that Tehran provided the Houthi rebels in Yemen with ballistic capabilities, a day after Saudi Arabia threatened retaliation against the Islamic Republic for a barrage of missiles fired by Houthi rebels from Yemen. "Everyone knows that all routes to send arms to Yemen are blocked," political deputy of the Islamic Revolutionary Guards Crops (IRGC), Brigadier General Yadollah Javani said, according to Reuters. "Yemenis have reached the capability to produce their own defensive weapons including missiles; an achievement that has been inconceivable to Saudis," he added. The Foreign Ministry in Tehran likewise rejected the Saudi claims. "These war-mongering and irresponsible remarks can be followed up legally at the international level," said foreign ministry spokesman Bahram Ghasemi in a statement quoted by AFP. Saudi forces said on Monday they intercepted seven missiles on Sunday, including over the capital Riyadh, accusing their regional rival Iran of being behind the attack and saying they "reserve the right to respond against Iran at the right time and right place." Iran denies it is backing the Houthis. Recently, U.S. Ambassador Nikki Haley brought Security Council envoys to a U.S. military base in Washington to view missile parts that the U.S. calls evidence of Iran’s illicit transfer of prohibited missiles to the Houthis. A Saudi-led military coalition intervened in Yemen on March 26, 2015 to try to restore the government of President Abedrabbo Mansour Hadi after the Houthis and their allies took over large parts of the country, including the capital Sanaa.